Prepare this recipe by first peeling, coring, and slicing the apple into 1/2-inch pieces. Put apple pieces into a small pot with water. Cover and cook for 2 hours. Gently 'smash' the mixture half way through the cooking process. Once the apple has reached desired consistency. Remove from heat, add cinnamon, and stevia. Serve warm or refrigerate to have cold later. 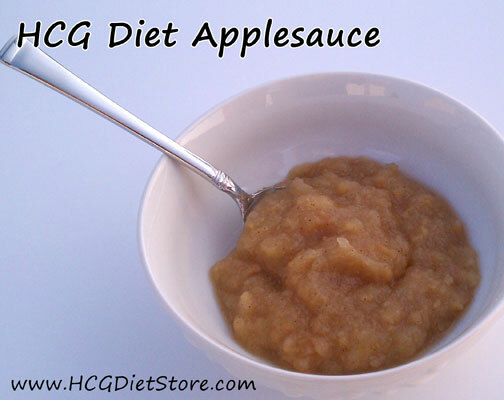 This recipe is allowed on the VLCD Phase 2 (500 calorie phase). This recipe equals 1 serving of fruit.